Dr. Mahanes was born and raised in Charlottsville, Va. He received a degree in Chemistry from Randolph-Macon College in Ashland, Va. and went on to receive his Doctor of Medicine degree from the University of Virginia in Charlottesville, Va. He completed his internship at Jackson Memorial Hospital (University of Miami) and his residency training completed at LSU School of Medicine and Charity Hospital in New Orleans. He then served as Associate Professor of Surgery at Earl K. Long Hospital in Baton Rouge, La. in 1973. Dr. Mahanes is also a veteran, serving in the Armed Forces for 2 years with one of those years spent in Vietnam. 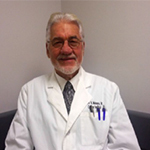 He moved to Easley, SC in 1974 to practice general surgery and has remained in practice since then. He is married with four children.